One of the primary tools in the investigating world is surveillance. Physical manned surveillance is the best way to obtain the truth and acquire court-admissible evidence. Your case, whether it is family law, insurance defense, corporate theft or embezzlement, is far too valuable to risk not having the unbiased, court admissible evidence. At Hawk Professional Investigations, our private investigators covertly collect video and photographic evidence and provide you with comprehensive reports. Our surveillance reports, evidence, and testimony can then be used as evidence in domestic, civil, or criminal hearings. Child custody is often the most crucial and sensitive issue in a divorce or custody dispute. Evidence of any inappropriate behavior can give you the leverage you need to negotiate a better custody arrangement and protect your child. Infidelity is likely to be one of the most painful and devastating things that can happen to you. The embarrassment, fear and betrayal can be overwhelming. Worse yet is not knowing if your spouse or partner is cheating on you. Video and photo evidence of cheating can give you leverage in divorce proceedings and help you achieve a better settlement. Employee theft, fraud, misconduct, accidents and absenteeism cost corporations billions each year. Documentation of theft, harassment, and inappropriate behavior will help you get the proof needed to release the employees, provide the evidence to law enforcement to seek prosecution and to support litigation to recover the loss. Fraudulent workers’ compensation claims can be costly to any business. If you suspect that an individual has filed a false claim, we can use our skilled team of private investigators to perform covert surveillance and in-depth background investigations to expose the truth. Many insurance investigative agencies make irresponsible promises about their research abilities that may leave you looking bad to your supervisors, claims team and the claimant. Our investigative services, which include surveillance, background checks and activities checks, have helped thousands of adjusters and defense attorneys gather the information they need to make educated, responsible claims decisions. Infidelity and child custody matters are the most common situations which require the use of surveillance to get court-admissible evidence, as each side may present a totally different view. Photo and/or video evidence from surveillance can make a dramatic difference in the outcome and length of negotiations and court cases. Corporations have retained Hawk Professional Investigations’ Surveillance Teams to conduct surveillance on former employees suspected of violating non-compete clauses in their employment contract. 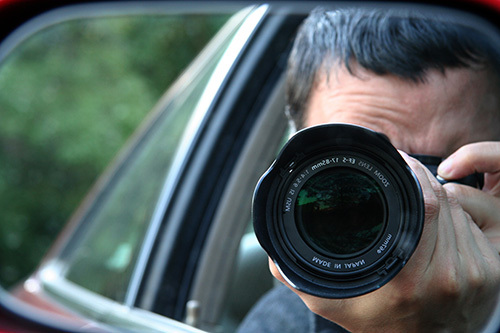 Insurance companies routinely conduct surveillance to determine the validity of claims. Companies have retained Hawk Professional Investigations for surveillance stakeouts for the purposes of assisting in the apprehension of criminals involved in theft of company assets. Contact Hawk Professional Investigations today to discuss your situation or concerns and put 31 years of surveillance and investigation experience to work for you.